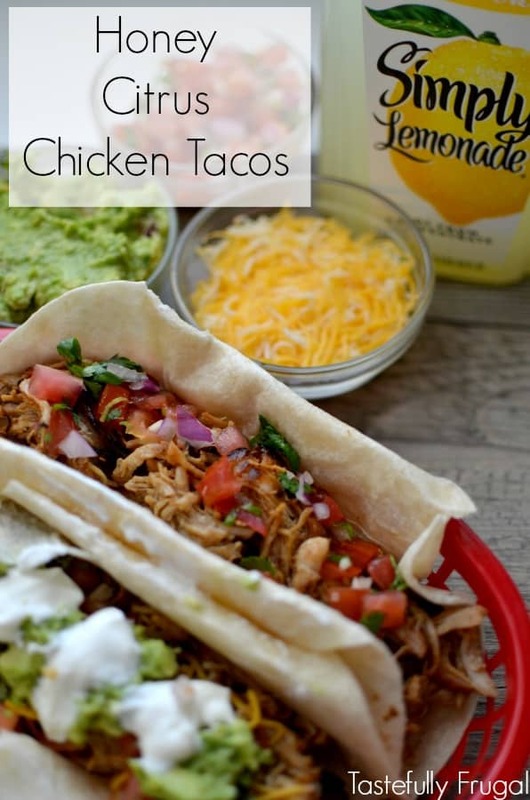 These sweet and tangy chicken tacos are easy to make and sure to be a crowd pleaser. In our neighborhood I’m known as the “Grill Girl”. As long as there’s no snow on the ground you can find me out on the porch grilling 4-5 nights a week. 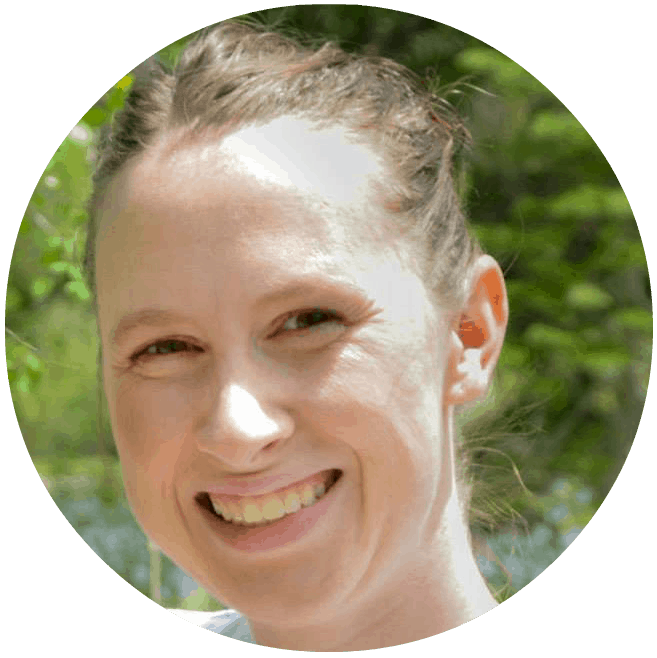 I especially love grilling in the summer time when we can eat outside and invite friends over to join us. Grilling may just be my favorite thing about summer. My second favorite thing is lemonade. If you’ve been reading Tastefully Frugal for any time you know how much I love making homemade lemonades. But being pregnant has zapped my energy to squeeze lemons to make these refreshing drinks. 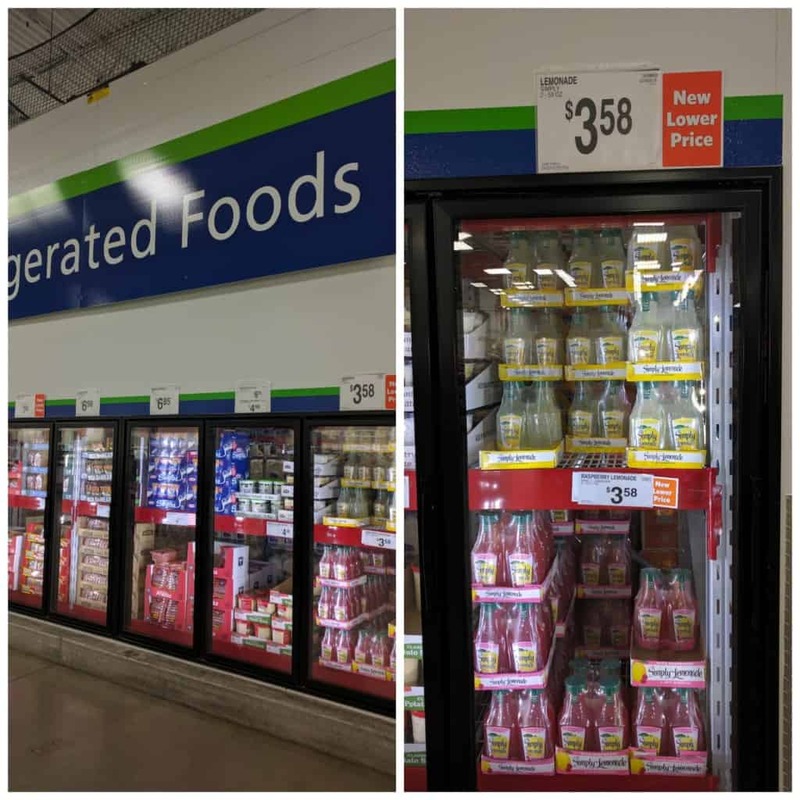 When I was at Sam’s Club last week picking up a few of our necessities I saw Simply Lemonade® on sale I just had to add a pack to my cart! I could drink a whole bottle of this lemonade in a day; it tastes better than homemade because it’s so much easier to get a nice cool glassful out of the fridge versus making it and then waiting for it to get cold! This time I saved some for a new recipe; Honey Citrus Chicken Tacos. 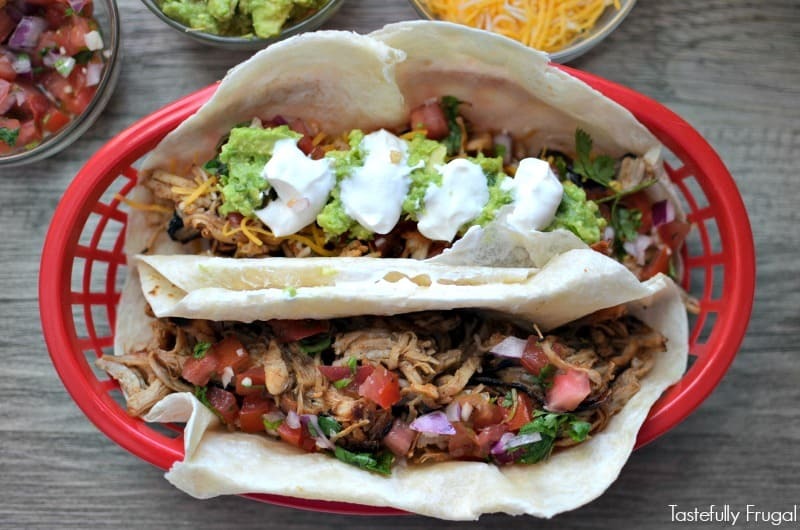 These tacos are the perfect mix of sweet and tangy and will have even the pickiest of eaters asking for seconds. The longer you can marinade the chicken the better it will taste; but even if you can only marinade for an hour or two you will still have a delicious meal your family will love. Remove chicken from bag and grill on both sides for 8-10 minutes until fully cooked. Add leftover marinade to a saucepan and bring to a boil. Remove from heat. 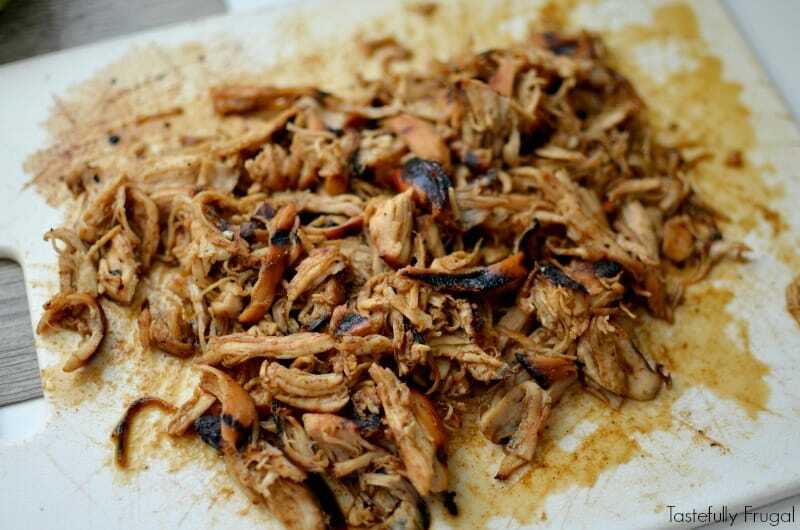 Shred chicken and mix in with marinade. 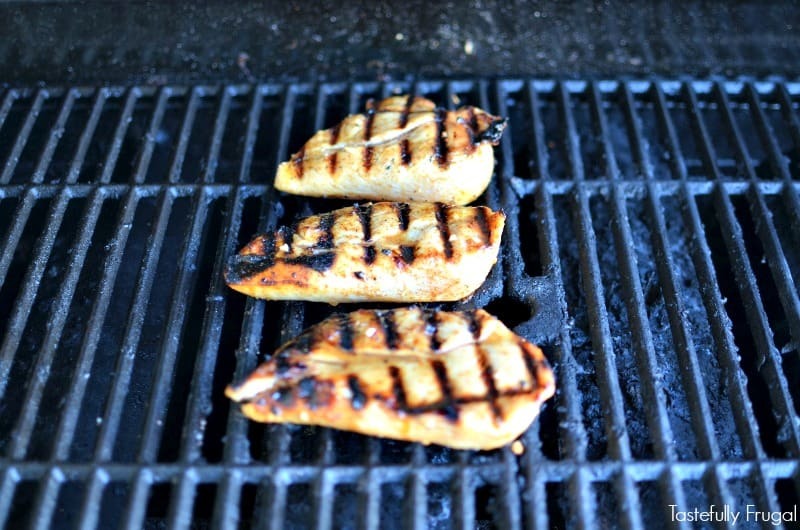 What are your favorite things to cook on the grill? You can find all your grilling needs at Sam’s Club and don’t forget to pick up a few bottles of Simply Lemonade® to enjoy while you’re grilling (or to make these tacos with)! Oh these sound delicious and like they’re the perfect way to celebrate summer!